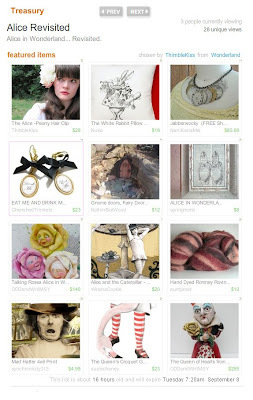 I love this treasury, featuring Alice In Wonderland finds on Etsy! There are some beautiful pieces out there. I was lucky enough to be featured with my 'eat me and drink me earrings'. Lovely! To take a closer look at the treasury Click here.